ALIA/LIANZA joint 2018 Conference, (30 July–2 Aug) Gold Coast, Qld. Indie Publishing Forum, (31 July) Melbourne, Vic. Indie Publishing Forum, (1 Aug) Brisbane, Qld. Words in Winter, (4-26 Aug) Daylesford and surrounding towns, Vic. Bendigo Writers Festival, (10-12 Aug) Bendigo, Vic. Cairns Tropical Writers Festival, (10-12 Aug) Cairns, Qld. Australasian Medical Writers Association Annual Conference, (23-25 Aug) Melbourne, Vic. Queensland Poetry Festival, (23-26 Aug) Brisbane, Qld. 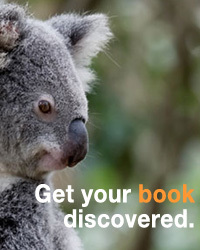 Melbourne Writers Festival, (24 Aug–2 Sep) Melbourne, Vic. Ashgrove Literature Festival, (27-30 Aug) Ashgrove, Qld.